Corey Yuen's remake of Chang Cheh's Boxer From Shantung sees Taiwanese Japanese heart-throb Takeshi Kaneshiro as Ma Wing-jing, a worker from Shantung who rises to the top of the Shanghai triad ladder. A group of top-secret espionage agents must help a secret government group steal a set of counterfeit money plates from MI5, the British spy organization. A detective helps a friend investigate the mysterious death of his father-in-law. Q: What are the differences between the International Version and the Taiwanese Version? Takeshi is in this, need i say more? Out of all the movies I have seen, this one is the best. The plot is great; it gives you a feeling of being back in the days without actually being in that time frame. The costumes seems authentic enough. The choices for the beggars' clothes to westerner's trousers and shirts seems flawless. Some scenes has some film noir. Some shots are dark with sadness. This film also features a femme fatale. Where there is a femme fatale character, there are love triangles. Also there are classical Chinese comedic scenes. 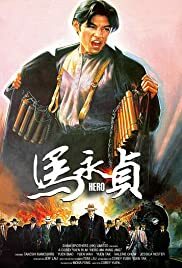 If you like action-gangsta-martial arts type movies, you'll like "Hero." It's also a movie for all age ranges. I would recommend this other movie "The Returner." Starring that movie is also Takeshi.